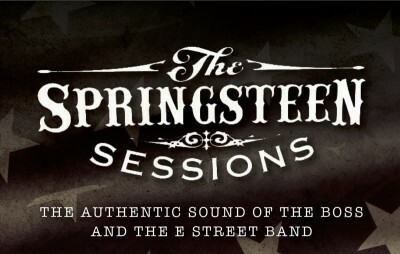 The Springsteen Sessions: the authentic sound of The Boss and The E Street Band! Formed in Glasgow in 2010, this exciting and talented group of Scottish musicians bring a dynamic version of the very best of The Boss and The E Street Band to their audiences – from ‘Greetings from Asbury Park’ right through to ‘High Hopes’. The band have a growing reputation in theatres, clubs and arts centres all over Scotland, and play regularly in England and Ireland. All the classics and the anthems are performed with massive attention to detail, ensuring that the authentic sound of the E Street Band is delivered with the kind of intensity that is reminiscent of the band’s early days at The Stone Pony in New Jersey over 40 years ago. You will be thrilled by the drive and energy of The Springsteen Sessions, and will go away exhausted and uplifted by a gripping and energetic two-hours-plus show – a must for ALL music fans!